In the next few weeks we should have the first of our AHD cameras systems arrive. These offer a higher resolution, improved colour reproduction and better night vision. The first system we will have in will be based on the mirror monitor and twin lens camera. These will use a 1024 x 600 pixel LCD panel in the monitor with wide viewing angles. 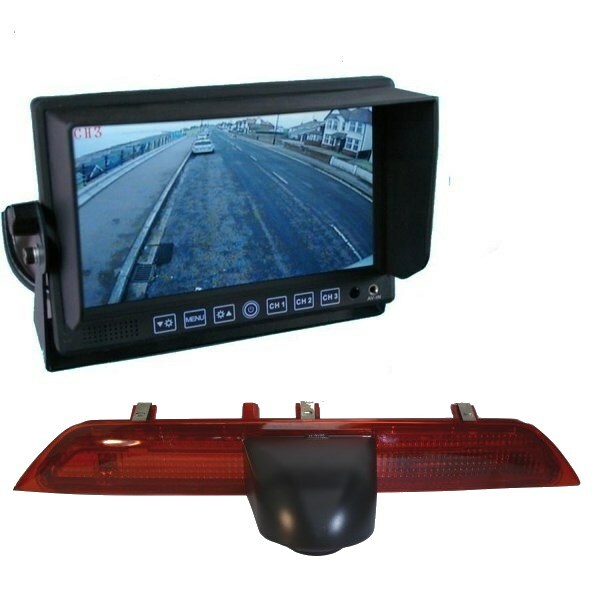 This matches a CCD Ford Transit brake light reversing camera to our popular MON705 stand on dash colour rear view monitor. By having the reversing camera built into the brake light it makes fitting easier as no holes need to be drilled. It has a wide angle lens in the reversing camera to ensure you can see the full width behind the van. The high resolution monitor and 700 TVL CCD camera ensure a good image night or day. Microphone:- On some models depending on batch. Email to confirm if needed. 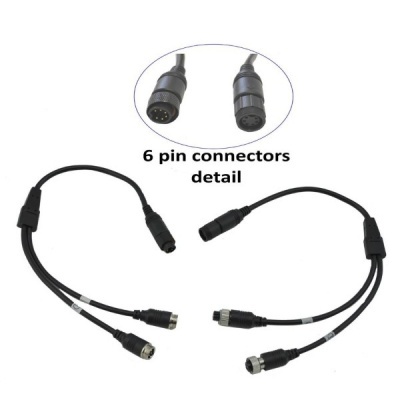 On all of our camera systems we have a wide variety of cable and wireless options. The information below shows you whet each option means. 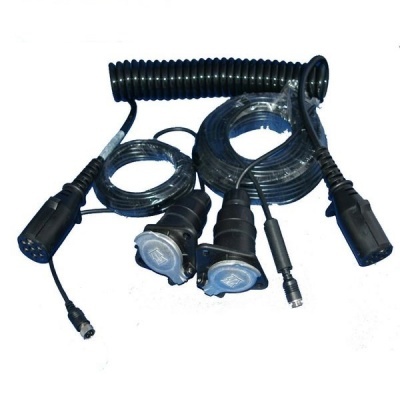 This are our standard 4 pin extension cables. These options allow you to select what length you need. They are in metres so multiply by 3 to change into feet. Having longer you need will not affect the picture and any extra cable should be coiled loosely where is cannot get damaged. This is our 15m cable with an 8mm link. This is useful if you need to thread a cable front to back through a monitorhome and want to keep the size of the hole needed small. We do an adaptor to fit the Waeco cables that are pre-installed in Bailey Motorhomes. It converts their cable into our standard 4 pin ones. We have single camera and dual camera versions. This is our medium duty trailer link suitable for caravans and farm trailers. This is our heavy duty trailer link as used on heavy goods vehicles. This is a version of our wireless bridge that will create an interference free digital wireless system.. This is a version of our interference free waterproof digital bridge to create an interference free wireless system. This is useful on our HD series of monitors where a curved dash makes mounting the U-bracket difficult. It also makes it faster and easier to remove the monitor.